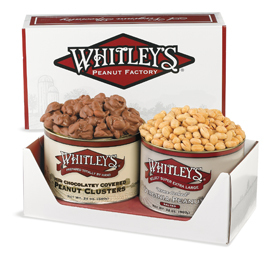 Surprise that special someone with an irresistible treat. 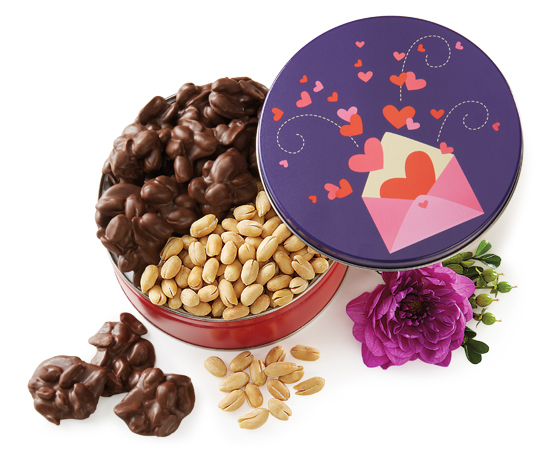 Our hear-covered love letter gift tin pairs 1.5 lbs. 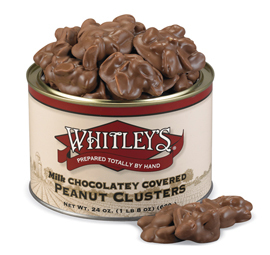 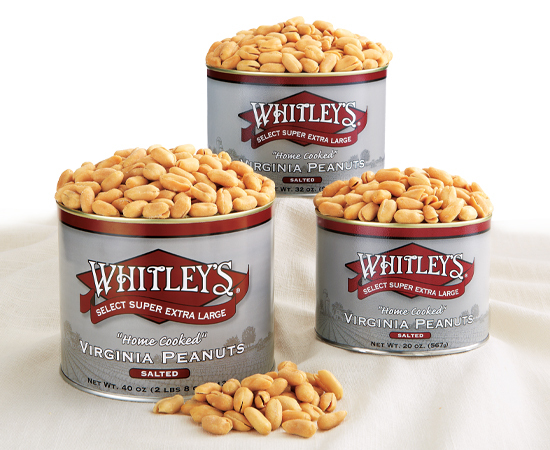 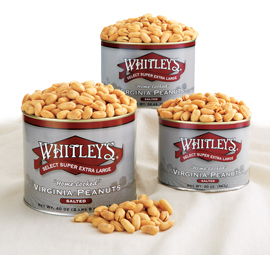 total of Whitley's "Home-Cooked" salted Virginia peanuts and dark chocolatey covered peanut clusters.